Hello, and welcome to Metro Places. Here you will find a place that houses all you need to find your perfect home in a really great community. Since 2003, each of these communities is built by one local developer who has brought together beautiful landscapes, amazing amenities and homes by award-winning builders. With the groundbreaking addition of the Connected City, ULTRAFi and Metro Lagoons, we continue to stay focused on what matters most to homebuyers. Please look around to see what makes Metro Places the best decision for your new home. Metro Places, all the elements for a great life. Live in the Nation’s Hottest Hot Spot. With ULTRAFi. Exclusive to Metro Places. Run here. Explore here. Play here. LIVE here. We have been residents of Union Park since March of 2015. Metro Places have been available and respond immediately when a homeowner is in need of help or a question answered! Chloè Crooks at Metro went ABOVE AND BEYOND what was expected and I know first-hand that no one has ever worked with us this closely regarding this situation in previous years in other subdivisions. The relief we have is indescribable and can never thank Chloè and Metro for all they have done for our family! A true organization that cares for their residents! Metro Development Group thoughtfully designs and develops its communities, thinking about what residents want now and what they would want in the future. The amenities in Metro Places’ communities are first-class – from ULTRAFi and Crystal Lagoons to shaded ‘tot lots.’ Our buyers are always impressed. ULTRAFi at Waterleaf has been great. In our previous home, we had cable internet, and transitioning to ULTRAFi was a huge difference. No lag at all when streaming full definition HD movies! We have lived in a Metro Places community for a few months now. We have had a phenomenal experience within the community and also with our community representative. All the amenities and also events we have attended have created lasting memories our family will cherish forever. Every time we have a request or question, they have been promptly taken care of or answered. We appreciate everything Metro Places has done to make the community such a great place to live!! As a person that works from home, having a fast and reliable internet connection is invaluable to me. Running a software company with employees and clients around the globe requires that I can connect with people via video conferencing while running other high-bandwidth activities. ULTRAFi delivers the quality and reliable services I need to run my business. My wife and myself purchased our first home in Sereno, and we could not be happier. The community is beautiful, friendly, and safe. The amenities are great as well, especially the pool! The folks at Metro Places did a great job communicating updates and ensuring that new residents had everything they needed! The Metro Places experience falls nothing short of the great expectations my family and I have experienced. It has developed a family friendly environment which displays a very diverse community. The area itself has been well developed and keeps getting better. Could not have asked for better place to live. Union Park community is more than we could have imagined. Metro does a great job in addressing our concerns, we always get fast, reliable information from our Metro community coordinator who handles our concerns with integrity. We never have to worry if requests will get fulfilled or acted on in a timely manner. I have had the pleasure of working with a few people at Metro Places. In the past 2 years, we have worked together in 2 communities, Union Park and Epperson-Crystal Lagoon, both located in Wesley Chapel. 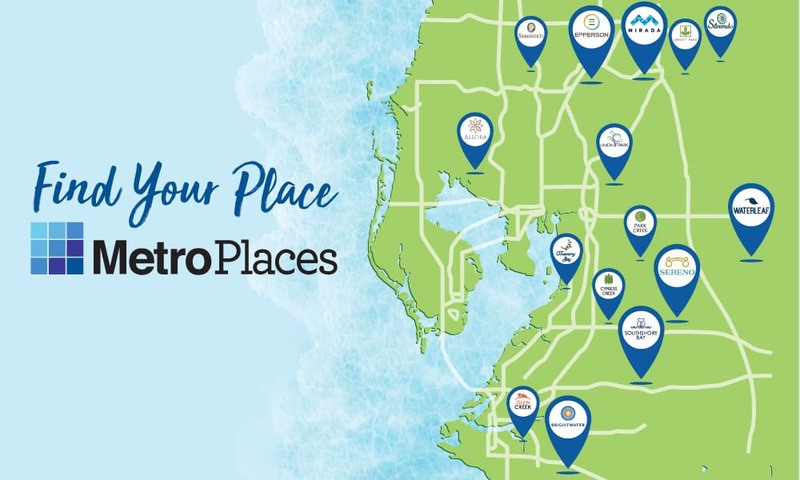 In both communities, Metro Places has been wonderful to work with, very committed and dedicated to the values that convey the metro vision: beautiful landscapes, amazing amenities, and homes by award-winning Builders. It is a very exciting time to be partnered up with Metro Places in the current community Epperson- Crystal Lagoon. Epperson will feature the first Crystal Lagoon in the United States. The community will consist of the Connected City, ULTRAFi -WiFi, Smart Homes, Autonomous Carts and more. Metro Places continues to stay focused on what matters most to homebuyers, “family vision in their communities”. We moved to Union Park in March 2016. My husband and I have two teenage boys and a dog. I am a Realtor and when we decided to move I knew I wanted to stay in the same area because of the schools. We had many choices but the first time I drove into Union Park with a customer I told my husband this is the community I want to live in, the natural walking trails, dog park, resort style pool and huge green field with picnic cabanas bring the neighbors together. Fourth of July was amazing we all hung out got to know each other and we truly felt a sense of community!! We are proud to call Union Park home. ULTRAFi has been amazing! 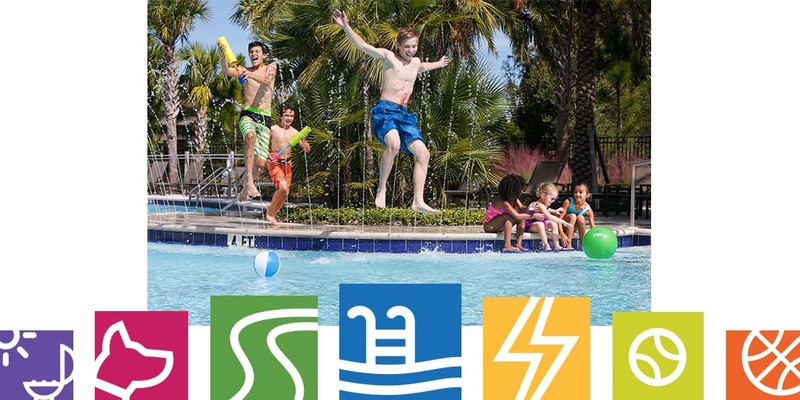 The seamless integration between internet access inside the home and walking out into the community, whether it’s the pool or the trails, and still being connected has made the concept of thinking to connect to the internet while in our neighborhood a thing of the past. ULTRAFi has made other high-speed internet look like dial-up in comparison. ULTRAFi is why we chose this Metro Places community and in order to live anywhere else, would now consider it a required community feature. Thanks Metro!